Chicago DJ Equipment Online Superstore - PRO DJ & STUDIO HEADPHONES & ACCESSORIES AT THE LOWEST PRICES! 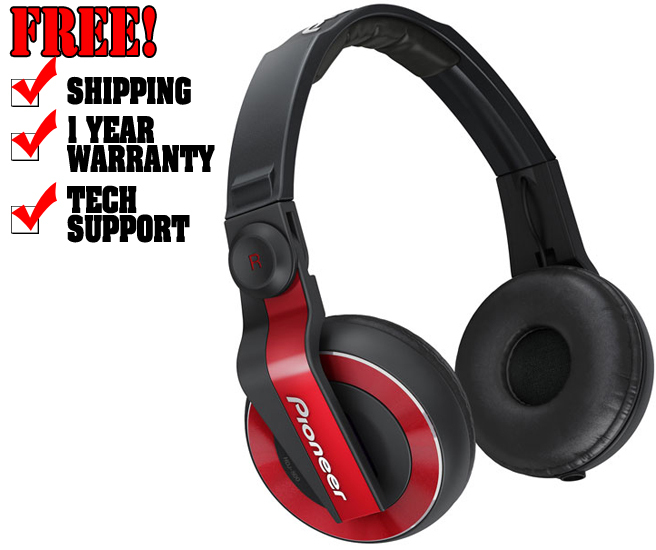 The HDJ-500 DJ headphones adapt the styling and performance cues of Pioneer’s top-of-the-line HDJ-2000 headphones. For maximum flexibility during performances, the HDJ-500 features a rotating arm structure that allows the user to rotate the right earpiece forward and back by as much as 60 degrees. The headphones include two interchangeable cords providing freedom of movement during performances.